Mut design has created sound-absorbing panels for furniture company Sancal in the shape of a beetle. ICD / ITKE research pavilion built by students and biologists together explored the potential of digital fabrication. 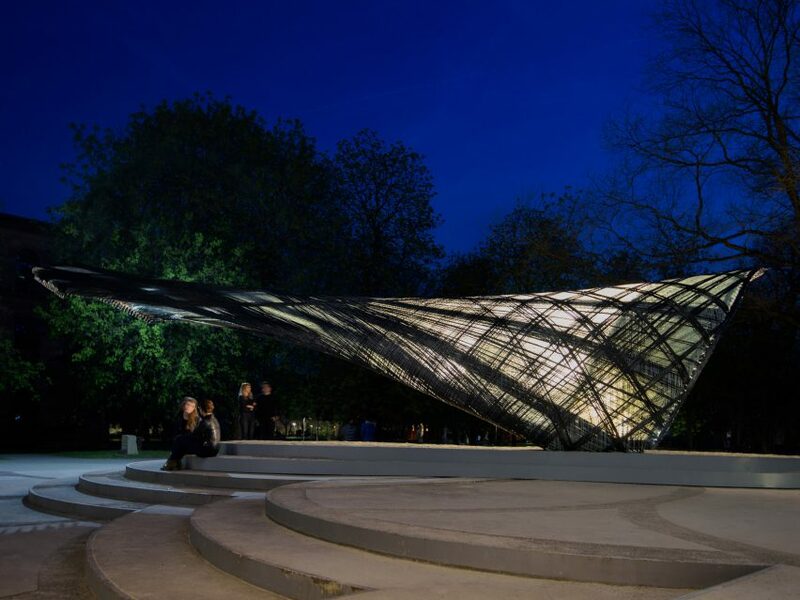 For the 2016-2017 pavilion, the main inspirations were leaf miner moths whose larvae spin silk ‘hammocks’ that stretch between connection points on a bent leaf (via dezeen). The Darkling beetle is a unique creature, living in the Namib desert. It has a unique trait — the ability to distill water from the fog through tiny bumps located on their wings. These beetles have inspired the technologies which can help solve the problem of drinking water supply in the most disadvantaged regions of the world. Designer Kitae Pak has created the award-winning Dew Bank Bottle. Made of stainless steel (which becomes cooler than air), the beetle-back-shaped dome collects drops of fog and runs them into a circular reservoir for later consumption (via BIOMIMICRY SWITZERLAND). The Water Theater was designed by Grimshaw for Las Palmas, Canary Islands. It uses the same technology of a ‘fog bug’ to produce water for irrigation and to renovate the nature of industrialized port area of the city worldarchitecturenews). 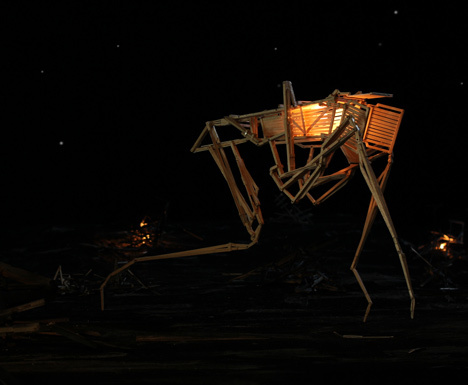 Eindhoven designer Paul Heijnen created an articulated lamp Hyperion Spotlight in the form of a huge wooden insect. Studio Libertiny’s vase-shaped hive that bees then colonized, building a hexagon comb around it. Crawling and buzzing, they might seem a bit scary creatures, but look at them from a different perspective and those bugs turn into a real marvel.